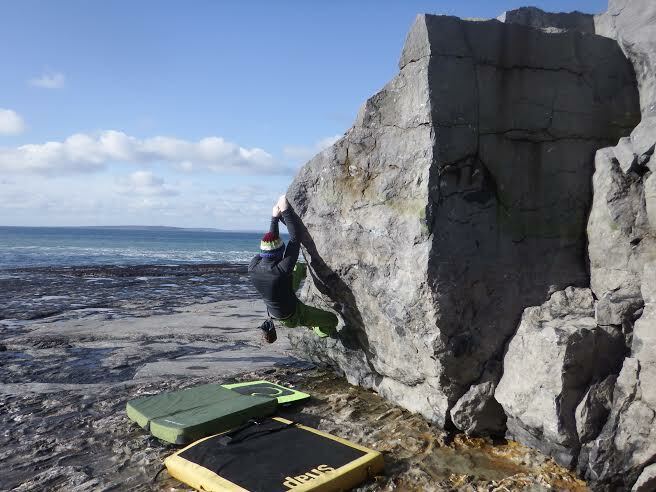 Get off the beaten path and discover a lesser seen part of Doolin and the Wild Atlantic Way, by taking a guided bouldering lesson with me. Bouldering is great activity, where we test ourselves in a really unique way. Its a mixture of using our balance, intelligence and strength. 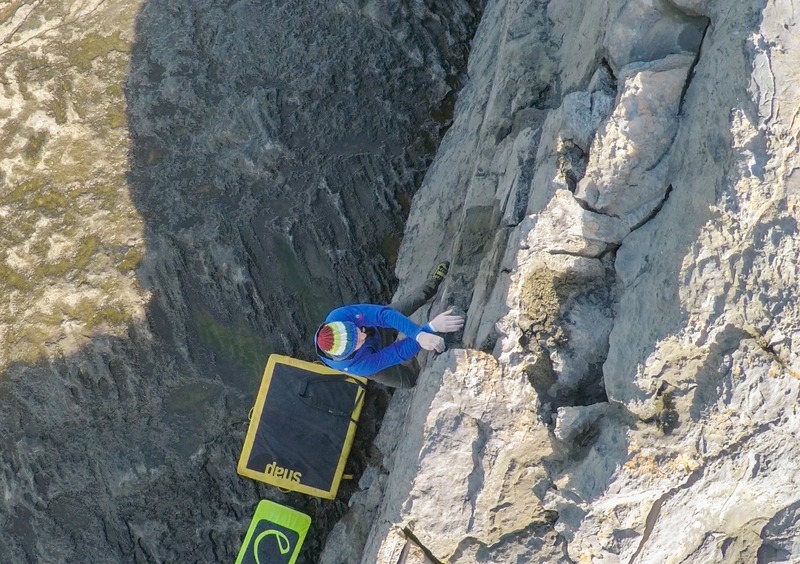 I’ll teach you the skills and techniques needed to solve climbing relatively small but challenging boulder problems. 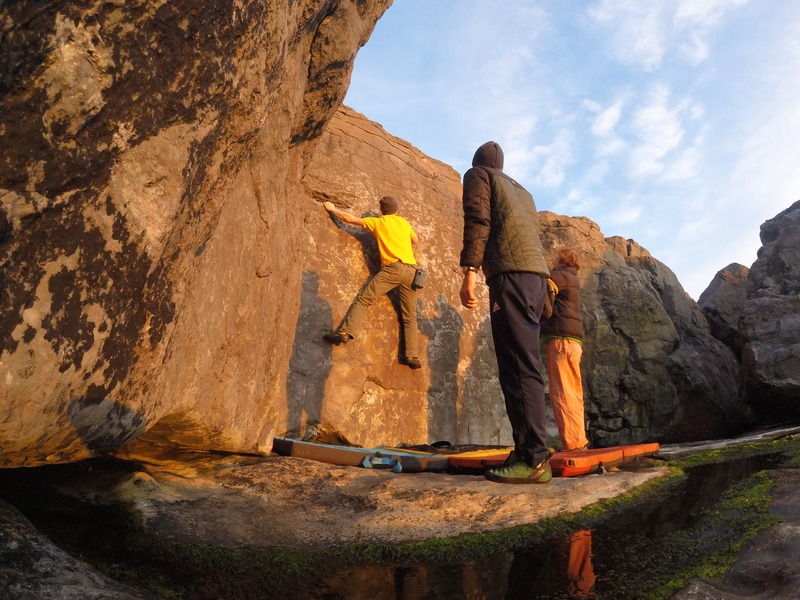 The Doolin bouldering area at Lackglass is a fantastic place for people who are complete beginners or those familiar with Bouldering and climbing. No previous experience is needed to try bouldering, but to the get the most out of the experience a basic level of fitness would be preferable. 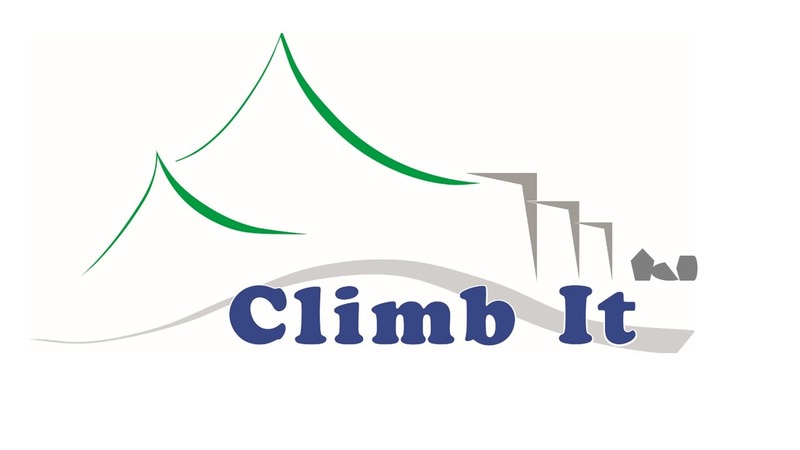 So whether you are looking for a one to one introductory session, are a group of friends or a family looking for a fun activity, then why not try bouldering? Bouldering is very sociable and interactive. You will learn loads of techniques and skills, while having as much fun as possible, in a safe and challenging way. I provide all equipment on the day, such as bouldering pads, rock shoes and chalk, but if you have your own gear feel free to bring it. You should bring your own lunch, snacks and water as required. 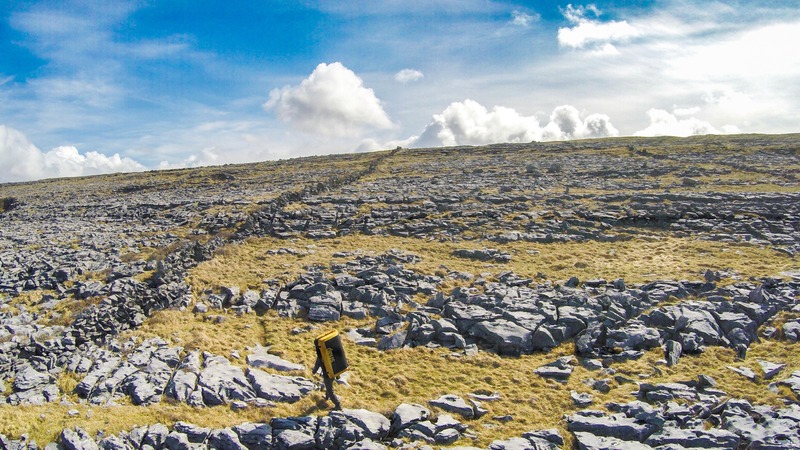 Location: Lackglass bouldering area, near Doolin, Co Clare. Cost: €100 euro. Divided equally per person. Ratio: No minimum, max 1:5 ratio. Please call if you have a larger group.